The New Tecno CM smartphone featuring a metallic body and measures 152.2mm*71.7mm*5.6mm (Visual) in size. The Camon CM comes with a elegant magnificent, radiant, strong and captivating design to boost the curved back edges for easy handling. Camon CMore arrives with a 5.7 near bezel-less design with a fingerprint sensor located at the back. Camon CM is powered by a Mediatek MT6737 processor which is Quad-core in nature which clocks at 1.25 GHz. To enhance a smooth performance the CMORE also runs on the latest Android 7.0 Nougat + HIOS 2 with makes it the second Tecno phone to come with Google latest operating system. 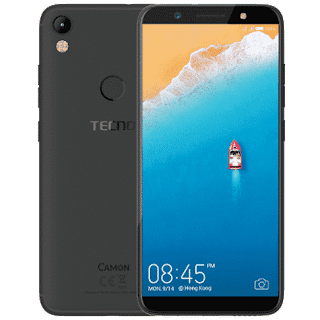 The New Tecno Camon Cmore has 2GB of RAM and 16GB of internal storage which you can extend to 128GB via a Micro SD-card. Though there is probability for a higher storage series which is still an expectation, proposing to sport 3GB RAM/32GB ROM with expand rate to 128GB via MicroSD-Card. The Tecno Camon CM is juiced with 3,000mAh Li-Polymer which is a bit smaller than what we saw in last year’s Tecno Camon CX that has a 3,200 mAh battery, however, i guess this is as a result of the smaller body of the CM than that of its predecessor, it is enhanced with quick charge technology to enable fast charging.